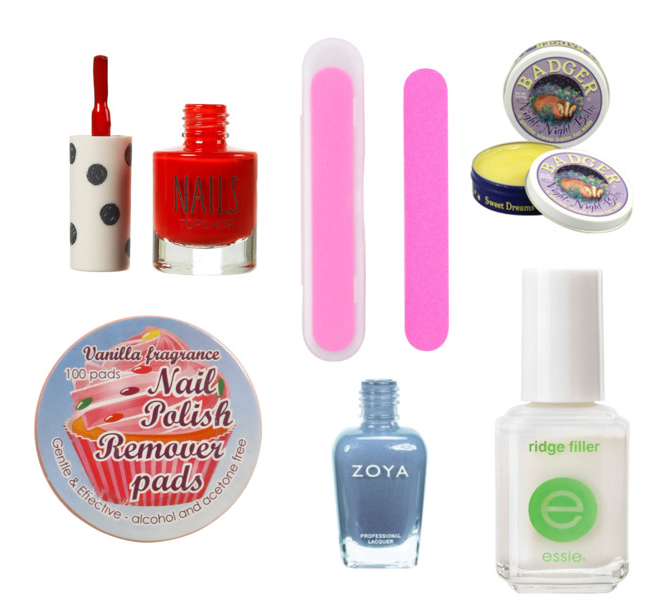 Today I'm going to be talking about nail care and how to really get your nails looking great! We all know the importance of keeping our bodies healthy, but we often forget to take care of our finger and toe nails. With just a few simple tips, your nails can be looking great in no time! Always choose a file, don't clip! Filing is better for your nails than clipping your nails. It's going to keep your nails trim while not totally breaking them, like clipping your nails would. This will allow your nails to grow and be healthier overall. But keep in mind: always file in one direction and not in a back and forth motion! A base coat is a great way to condition your nails while painting them. Again, this will help your nails grow and become stronger and look healthier overall. Plus, it makes your nail polish look better and last longer! Besides being horrible for the environment, acetone is really bad for your nails. It dries them out and eventually can turn them a yellow color. Choose acetone-free polish remover to get your nail polish off without damaging your nails. You know how annoying those pesky little hangnails are? Well a cuticle cream or balm can help prevent those by moisturizing your nail bed. Apply one every other day to keep your nails looking great and hangnail-free!